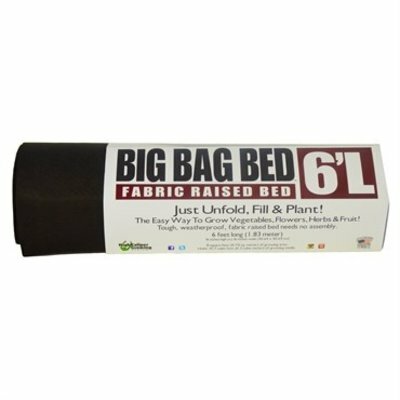 The Smart Pot Big Bag Beds offer all the benefits of a Smart Pot® container in a raised garden bed. This tough weatherproof fabric bed requires no laborious installation and comes with pre-built partitions to help separate crops and add stability. 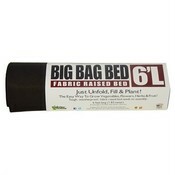 Just unfold, fill and plant for gardening space that lasts for years. It warms quickly in the spring, releases excess heat in the summer and provides good drainage all year long. The Big Bag Beds also air prune roots while protecting plants from underground pests such as gophers and moles. Great for small spaces like porches, decks, and patios! Dimension: 16 inch Wide x 16 inches Tall x 8 feet Long. Holds 14.2 cubic feet of soil medium.